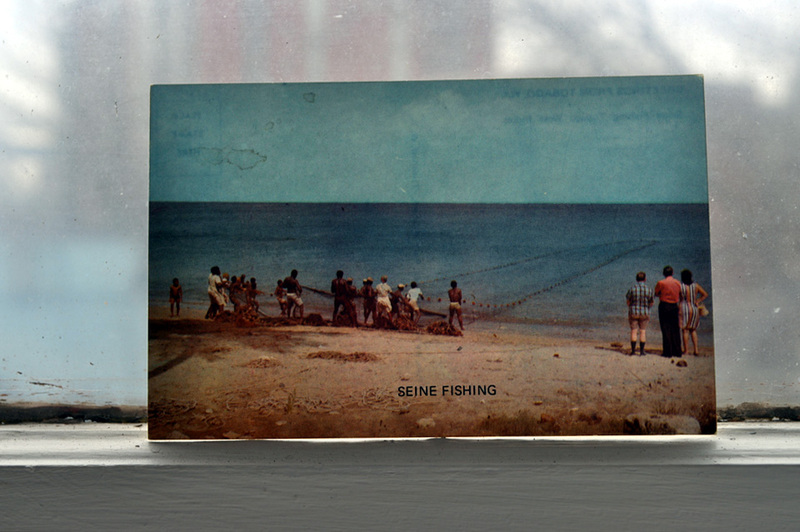 Unsent Postcard “Seine Fishing Tobago WI”. No postage required if sent digitally. 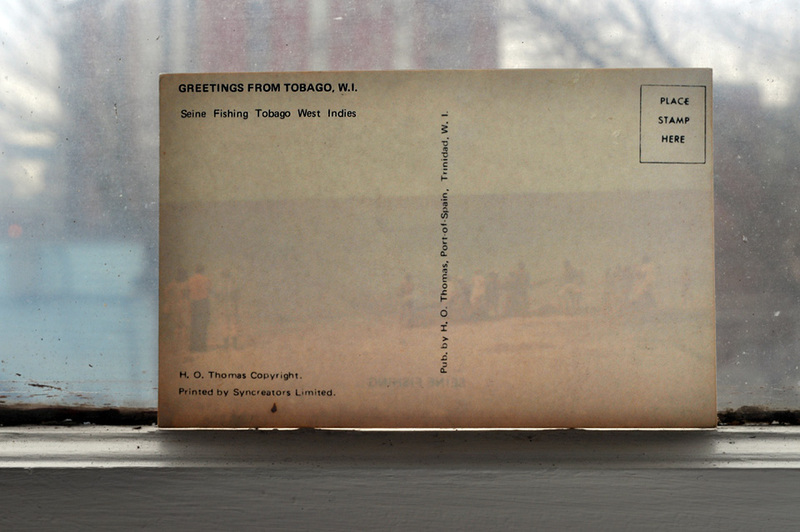 This is what I should do with all my postcards – send them out for Valentine’s. I suspect a relative gave this to me, but it could be from anywhere really, given the various tidbits of paper that have found their way into my hands. I love the colour of the man on the far right’s t-shirt. Status: Scan for Project Valentine. Alt-title: Untitled Object No. 329 For Fishing Out Vintage Sea Monsters. (If you’re new here, clicking that alt-title link will tell you what it’s all about). Love your blog! and I love this postcard: my husband is a big seine fisherman and I had never heard of the word (or concept) before I met and married him! 🙂 Thanks so much! I am a big fan of yours as well. I have been working on a project which involved some research into seine fishing (local though – on the West Coast) . Cheers. 🙂 Is this a new blog of yours ? Thanks Theadora! A book, never thought of that. I have thought to put some of the images up separately for sale as limited editions, but haven’t got round to it yet:) Cheers Happy New Year too.